Good Beginnings School offers a structured, traditionally academic learning program facilitated by seasoned, college degreed teachers in a warm, caring and energetic environment. Zaner-Bloser, SRA math and reading series, Plaid Phonics, Scholastic's readers, science, and geography programs provide our core curriculum for our pre-kindergarten and kindergarten. 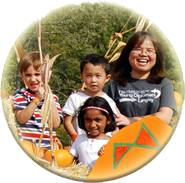 For our toddler, early preschool, and preschool groups we utilize a teacher-designed curriculum and program based on age and skill utilizing the Virginia SOLs and core curriculum as guidance for our plans, The Education Center, Teacher Created Materials, Inc. for letter sounds, vowel and consonant introduction and Bob Books for reading. In addition to our academic programs, we offer art, music, dance, and physical fitness. Students four years old and older also participate in field trips that are uniquely appropriate and qualitatively diverse. We welcome all students and families who desire a sound learning environment and who share our core values in education. 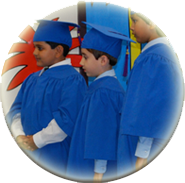 Good Beginnings School – Stone Ridge accepts children between the ages of six weeks and twelve years. Children who qualify by age for kindergarten in Virginia county public schools will be considered for our private full day or half day kindergarten after consultation between parents and teacher, kindergarten readiness assessment, and student interview with the teacher. Our small class size enables personalized learning experience. The toddler room allows for 16 children maintaining a ratio of 1:4-1:5. 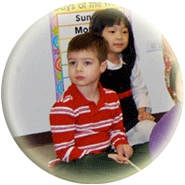 The early preschool class can accept 16 students with a ratio of 1:6-1:8. The preschool class has sixteen seats maintaining a ratio of 1:8-1:10, the pre-kindergarten class has sixteen seats and maintains a ratio of 1:8-1:10, one kindergarten class with sixteen seats maintaining a ratio of 1:8-1:16 and two elementary before and after school classes with eighteen students per class maintaining a ratio of 1:18. All of our classrooms are sized with the capacity to hold 20 students. Our philosophy is to provide developmentally appropriate and strong academic programs to positively challenge the social, emotional, intellectual and physical needs for each child. We recognize and appreciate that all children are unique learners. We believe in a strong partnership between parents, children and staff, appreciating that parents are the most significant adults in a child's life. Reading, math readiness and science activities are designed to stimulate creativity and encourage reasoning and problem solving. Large and small learning groups are used to foster skill development through songs, games, language development as well as fine and gross motor activities. A description of curricula utilized is provided in our general information. For Additional information call (703) 327-4989. We will follow the Federal Government’s closing. When the government gives liberal leave we will do our best to open but will adjust our opening as we see appropriate. Please check your email for any updated information before coming to make sure we are able to receive your children.